OLD PARKED CARS. 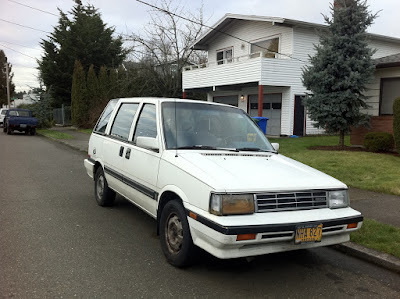 : 1987 Nissan Stanza Wagovan. Damnit, one comment and it made the same point I was going to make! Agreed, they're bulletproof. Looks like quite a bit of water got into the passenger side headlight. And in Sweden it's called Nissan Prairie. It was just called "Stanza Wagon" in the US. "Wagovan" was a name used by Honda on slightly decontended midyear versions of their Civic wagon they'd bring out every so often in the 80s to get around import quotas at the time. The Wagovans usually had a little metal bar across the inside of each rear quarter window to protect the glass from shifting cargo (as if anyone used them for that, but that was where the "Wagovan" name came from). yeah, i know it's not the proper name, but i just can't overlook that sliding door. 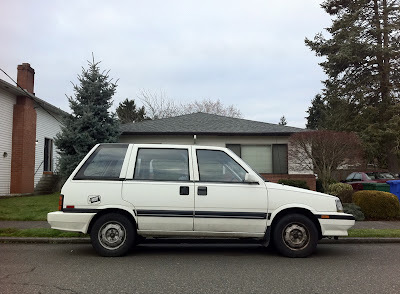 for the record, the family civic wagovan remains sorely missed today, and i am currently prodding my wife to ditch our '08 civic hybrid and spring for one. 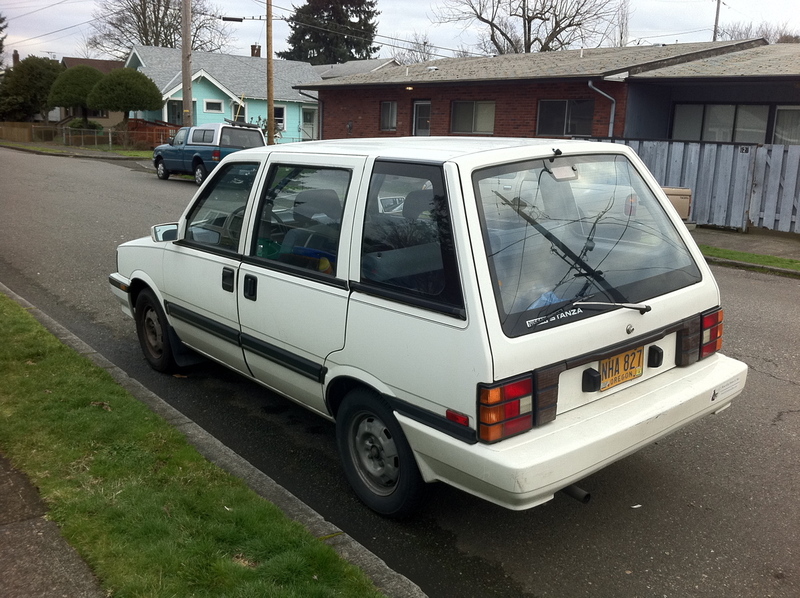 Were there any Canadian-market Nissan Multis that used the Datsun badge on the tailgate in the 1983-86 period?